HOUSTON, Texas, (October 26, 2017) – Ikan has revealed a full line of wireless video transmitter and receiver kits that include the BZ400 and BZ400-PRO (400 feet), the BZ1000-PRO (1000 feet), and the BZ2000-PRO (2000 feet). The Blitz wireless video systems all support uncompressed zero delay high definition video up to 1080 60p. With the ability to handle cross conversions, the Blitz can take HDMI and 3G-SDI inputs and outputs. In addition, the Blitz gives users 10 selectable channels to use. 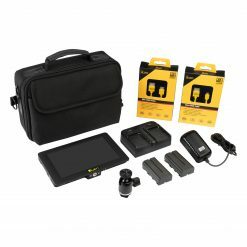 With the affordable Blitz wireless video system, filmmakers get an extremely reliable product and can easily set up the system at half the price of the competition. The Blitz also features Ikan's new Quick Mount System that makes it easier to mount the system to other gear such as Ikan monitors. 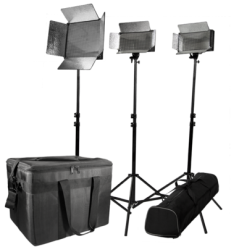 All Blitz kits include a hard case, L Series and V Mount battery plates, clamps, articulating arms, and P-TAP cables, to help you mount the system any way you want. The BZ400-PRO is the only product in the Blitz line that includes batteries and chargers. 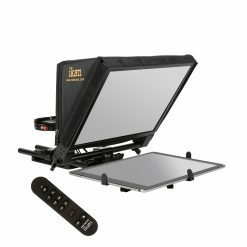 With the Blitz system, filmmakers can easily set up and get going right out of the box. 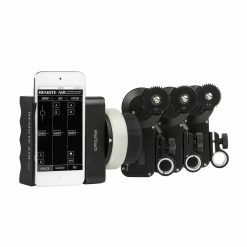 The wireless video system is perfect for focus pullers, gimbal operators, and camera operators. “I'm extremely proud of the work we did on the Ikan Blitz line. We introduced a wireless video system with the best technology available today and kept it affordable and simple to use,” says Dariel Resendez, Product Manager. Currently, the Blitz 1000 (BZ1000-PRO) has a special introductory price of $3199. This is a $1000 discount off the original price, giving filmmakers the most affordable wireless video device with a 1000 foot range on the market. For more information on the Blitz line of wireless transmitters, check out ikancorp.com. Ikan is a company of filmmakers. Our staff is almost entirely composed of seasoned professionals whose first love is the world of film and video. As filmmakers, we understand the challenges our customers face on a daily basis. We understand the need for reliable, dependable equipment. We understand that a piece of gear going down during an important shoot can affect your reputation. We also understand that, while imagination may be limitless, budgets aren't. 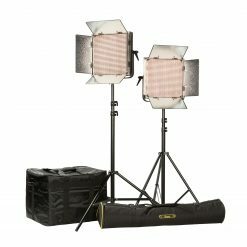 Whether it™s an expensive Hollywood motion picture or an intimate wedding shoot, you need to maximize the value of the products you're choosing to buy. And because we understand these things, we feel it's our responsibility to continue to bring our customers the best available technology, quality, service, and long-term value across our entire product line. 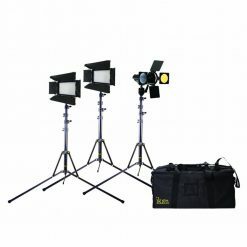 Whether it's our lights, gimbals, tripods, monitors, or the hundreds of other production tools we've brought to the market, all of Ikan's products are created by filmmakers, to empower filmmakers. Ikan products are sold through authorized dealers located in more than 50 countries around the world and at www.ikancorp.com.